Craig Salvalaggio shares AMT’s advice on evaluating automation in the CRO Online Summit and other events. CHICAGO — Robotics can provide companies with cost savings, better production efficiencies, and other benefits. However, some companies also have unrealistic expectations of automation advantages, said Craig Salvalaggio, vice president of engineering at Applied Manufacturing Technologies, at last week’s Automate 2017 show here. Most of the failures were due to poor planning, Salvalaggio added. “Should you decide to automate, you need to identify what the requirements are and understand the process and level of automation,” he said. There is no single path to reaping automation advantages, noted a speaker at Automate 2017. Human judgment is still a key factor for getting started with or expanding robotics use. Automation promises to make operations more efficient and productive, leading to reshoring of production. However, businesses should be realistic about which processes to automate and consider an RaaS model. 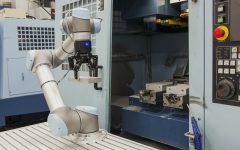 Considerations for adopting robotics in manufacturing include an understanding of current technical capabilities, cost constraints, and compliance with safety rules. Several technical improvements have converged to drive automation adoption, according to Salvalaggio. Robotic systems have more intelligence, so they need less human intervention while in operation. Grippers are more dexterous. Getting started with industrial automation requires both business and technical planning, said Craig Salvalaggio. 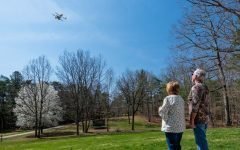 Companies such as General Electric Co. are adding predictive analysis to improve the deployment of automation and other technology. Better automation in the U.S. also means more reshoring of production, Salvalaggio added. The U.S. tends to have lower energy costs than other countries, he said. In addition, Salvalaggio said, onshoring production, particularly for products sold in this country, reduces transportation costs and eliminates any tariffs. An oft-cited automation advantage is that it can be used to eliminate humans from unsafe and repetitive tasks. He also cautioned companies against investing in robotics projects simply because they were enamored by many of the successful demonstrations at Automate or other trade shows. “You need to consider the tooling, the equipment, and all of the other costs involved,” Salvalaggio warned. Companies should consider automation to increase throughput, decrease labor costs, improve quality and safety, and reduce the facility footprint, he said. The top business requirements when considering an automation project are the company schedule, lead time, capital budget limits, and the payback period. Companies without sufficient capital may not be able to afford the machinery. They may not see the return on investment (ROI) in enough time to warrant financing the purchase, according to Salvalaggio. However, the concept of robotics as a service (RaaS) is starting to enter the market. RaaS is different than leasing, because a company pays for its actual usage rather than for a pre-defined monthly or annual lease. The concept is similar to the more widely known — and already time-tested — software as a service. There are other considerations as well, Salvalaggio said. Will automation truly offer the company better scalability and flexibility? What facility changes are needed to add automation? Will the facility’s current floor and foundation support the weight of new machinery? If not, is extra support possible and at what cost? Does the facility have enough power to operate the automation? If not, how easily and at what cost can additional power be added? Organizations must also weigh supply chain considerations. Companies need to be able to source additional material for higher production capacity and source it in time to meet faster production schedules. Otherwise, much of the automation capacity will go unused. Companies considering automation advantages also need to plan for how they will handle rapid price increases or delays in supplies. While machines can replace direct labor, it opens up the need for more engineers and technicians, but several companies have complained that people with those skills are in short supply. Salvalaggio emphasized that while engineers are needed, they focus on processes. Business people also need to be involved in the decision to apply robotics because they focus on the capital investment, ROI, and other potential automation advantages, he added. Salvalaggio added that humans are an important element of the monitoring process to ensure that production quality is the same or better as with traditional processes. Automated monitoring can be used, but the accuracy of the monitoring is much better if companies include human monitoring as well, he said. Yet any monitoring system should be balanced with business needs. “There’s a trade-off between quality and quantity,” Salvalaggio said. 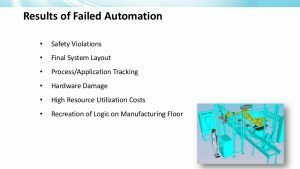 He added that safety is another prime consideration for all levels of industrial automation. Manufacturers, logistics companies, and other end users need to comply with Occupational Safety and Health Administration, state, and local standards. Companies also need to keep track of newer standards as they are developed. “Look at the competition; learn from their mistakes,” Salvalaggio advised.